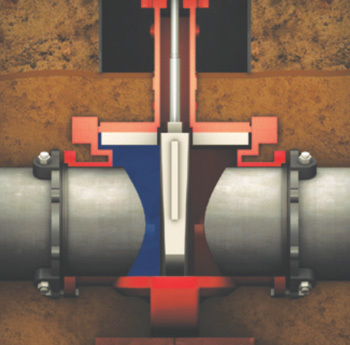 Tapping machine removes complete section of pipe. 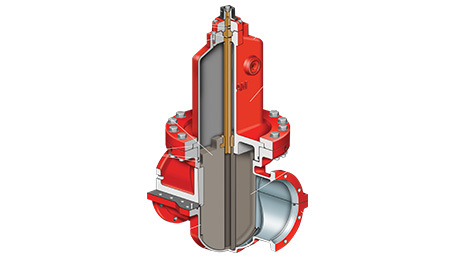 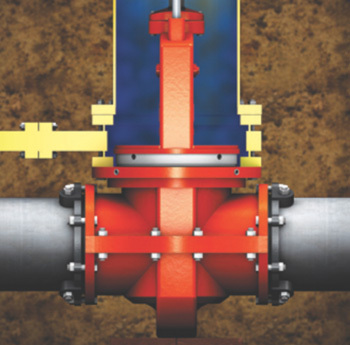 With it's permanent, resilient seat, the valve has just been installed into the piping infrastructure without interruption or loss of pressure. 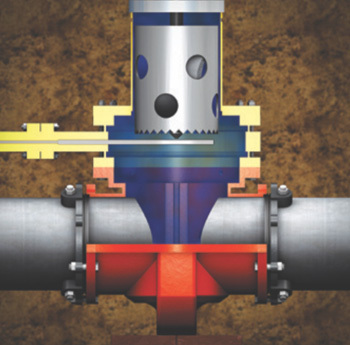 A valve box is installed and the valve is ready for operation. 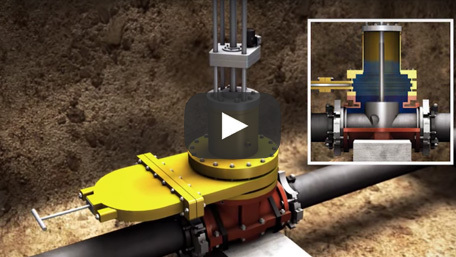 View our animation video below to get more details. 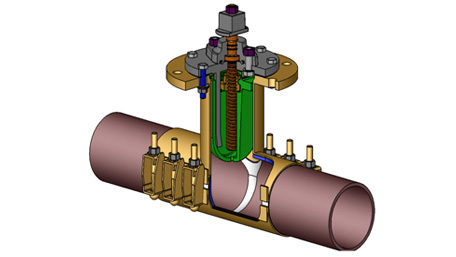 Watch our team perform a valve insertion!